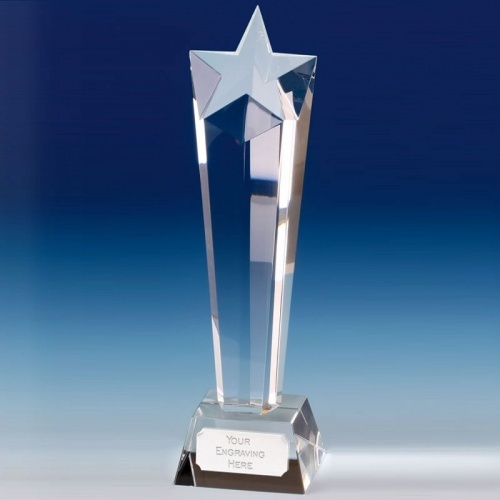 These superb star shaped column awards are crafted in fine quality optical crystal that refracts light through the award's many planes. Available in five sizes up to an imposing 13in tall, these star column trophies are mounted on a crystal base with engraving plaque. 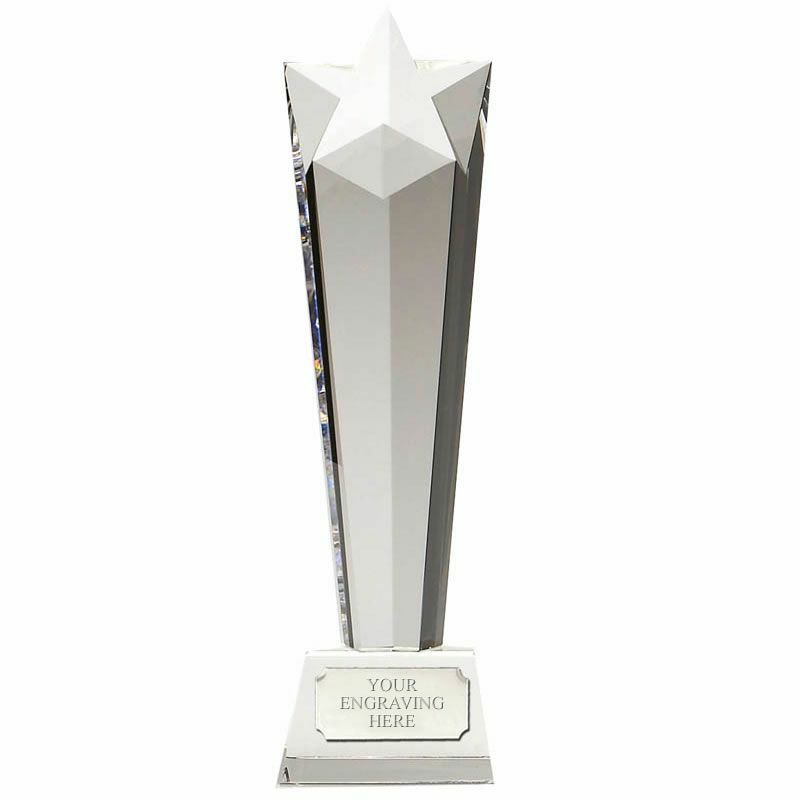 Text and/or logo engraving options available.